i. Prime Minister Narendra Modi, who did not make it to the final eight selected byTIME for the annual ‘Person of the Year’ title, has been hailed as one by its readers in an online poll conducted by the publication. ii. Mr. Modi has been named winner of this year’s readers’ poll for TIME ‘Person of the Year’, securing more than 16 per cent of the almost five million votes cast. iii. Protesters in Ferguson, who were demonstrating against a grand jury’s decision not to indict white police officer Darren Wilson who shot and killed unarmed black teenager Michael Brown in August ranked second with 9 per cent of the votes. 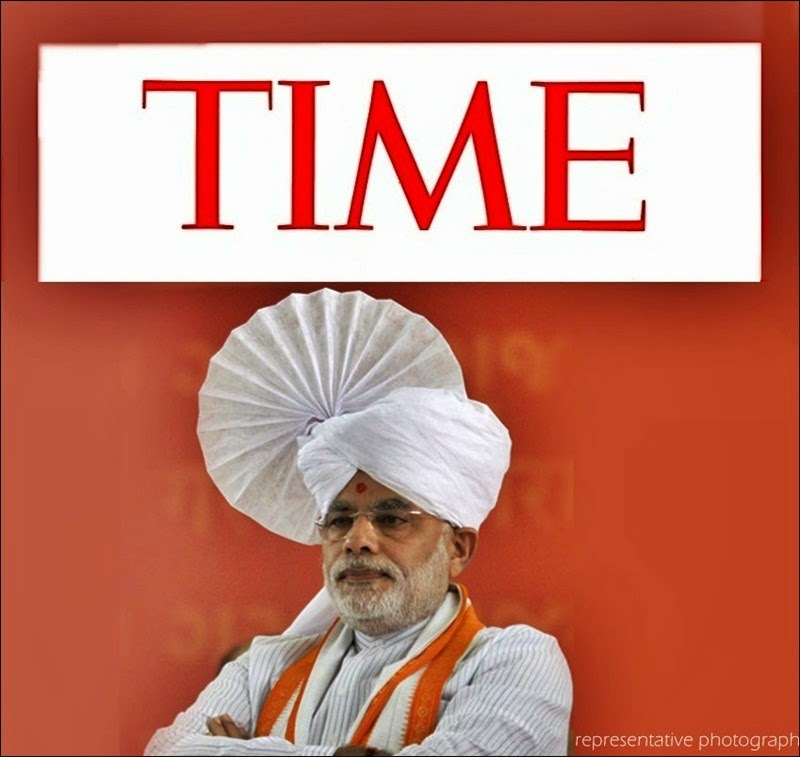 TIME said “a strong showing of readers from India” helped drive Mr. Modi’s first-place finish. iv. “More people from the country voted than from any other country, with the exception of the United States,” it said. Readers from more than 225 countries participated in the online poll, with U.S. votes leading the tally at 37 per cent, followed by India at 17 per cent, and Russia at 12 per cent. v. TIME said Mr. Modi became Prime Minister in May after securing a landslide victory on a “platform of rebooting India’s stalling economy”. “But his detractors have questioned his past record,” it added. Note: The annual honour, that has been bestowed by the magazine since 1927, goes to the person who “most influenced the news” during the year “for better or worse”. Mr. Modi was among the 50 global leaders, business chiefs and pop icons named as contenders for the annual honour. i. 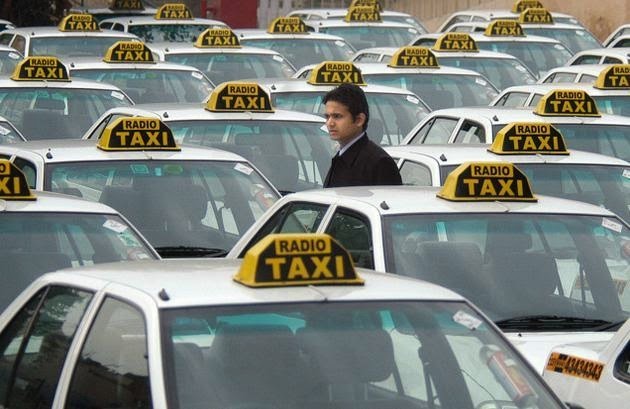 The Centre has asked States to ensure that all unregistered taxi services cease operations for now, Home Minister Rajnath Singh said, after a female passenger reported she was raped by a driver contracted to US online cab company Uber in New Delhi. ii. New Delhi had already decided to ban all unregistered internet taxi firms after the incident, a government official told Reuters earlier on Tuesday. Uber has been operating in 11 Indian cities. i. Child rights activists India’s Kailash Satyarthi and Pakistan’s Malala Yousafzai, along with 11 others will receive this year’s Nobel Prizes tomorrow. ii. The Nobel Laureates take centrestage in Sweden’s capital Stockholm and Norwegian Oslo, where they will receive the Nobel medals, Nobel diplomas and documents confirming the Nobel Prize amount. iii. Satyarthi, 60, and Yousafzai, 17, will share the $1.1-million Peace Prize at Oslo, while all the other awards will be presented in Stockholms. iv. Satyarthi, along with his wife Sumedha, son, daughter-in-law and daughter reached Oslo yesterday. v. Frenchman Patrick Modiano will be presented the Literature Nobel, US-British scientist John O’Keefe and Norwegian husband-and-wife duo Edvard and May-Britt Moser Nobel in medicine and Japanese scientists Isamu Akasaki and Hiroshi Amano and Japanese-born American Shuji Nakamura the Nobel in Physics. vi. Americans Eric Betzig and William Moerner and German scientist Stefan Hell will share the Nobel in Chemistry, while Frenchman Jean Tirole will be presented the Nobel for Economics. Note: Since 1901, the Nobel Prizes have been presented to the Laureates at ceremonies on December 10, the anniversary of Alfred Nobel’s death. i. Gwladys Nocera of France on 6 December 2014 won the Hero Women's Indian Golf Open 2014 at the Delhi Golf Club. She received the prize money of 300000 US dollars. ii. She won her first title of the 2014 season with a score 11 under par total of 208.
i. Subramanian Committee on Leveraging the Post Office Network on 4 December 2014 submitted its report to the Union Ministry of Communications and Information Technology. ii. The objective of the Committee was to transform the Post Office Network in keeping with changing market trends and competition. iii. The committee has made around 181 recommendations to make the post office competitive and efficient. These recommendations ranges from formulation of a New Postal Law to New Organisational design of India Post to Extension of Post Office network in Rural areas. i. Hockey Olympian Grihanandan Singh died on 7 December 2014 in New Delhi. He was 88.
ii. Nick named Nandy Singh was an Indian field hockey player who won two Olympic gold medals, at the 1948 London Olympics and later in 1952 Helsinki Olympics with the Indian team. i. According to the Bloomberg Billionaires Index, Warren buffet became second richest person in the World. He replaced Carlos Slim, business magnate of Mexico. Bill Gates is the world richest person. ii. Buffet chairman of Berkshire Hathaway Inc. has a net worth of 73.7 billion US dollars and his annual business profits recorded 19.5 billion US dollars which is up 13 percent. Berkshire reached 52 week high in intraday trading which is closed at 185750 US dollars. iii. Slim has net worth of 62.9 billion US dollars. Slim profit has fallen 10.9 billion US dollars since the start of 2014 and his business profits dropped by 14 percent. i. Andhra Pradesh Government on 8 December 2014 signed a Memorandum of Understanding (MoU) with Singapore for the development of its new capital that is set to come up near Vijawayada region. ii. The MoU was signed by International Enterprise Singapore CEO Teo Eng Cheong and the Infrastructure Corporation of the Andhra Pradesh representative Sambasiva Rao. iii. Under the MoU, Singapore will prepare a master plan for building the new capital of Andhra Pradesh. iv. The master plan will be designed for the capital region that is likely to come up in an area of approximately 7300 square kilometres and also for the capital city that will be spread in an area of 125 square kilometres. i. Australia's David Warner paid a fitting tribute to his deceased teammate Phillip Hughes by cracking a rollicking 145 before India clawed back with three quick blows to share the honours on an emotionally charged opening day of the first cricket Test in Adelaide on Tuesday. ii. Opting to bat first, Australia rode on Warner's 10th Test century and were cruising along comfortably before India struck three vital blows at the fag end of the day to reduce the hosts to 354 for six at the Adelaide Oval. iii. The home team was comfortably placed at 258 for two when Warner became debutant spinner Karn Sharma's maiden victim, which triggered a collapse of sorts with Mitchell Marsh (41), night-watchman Nathan Lyon (3) and Brad Haddin (0) falling in quick succession to help India stage a fightback. iv. Steven Smith was unbeaten on 72 when stumps were drawn for the day with four balls still to be bowled. v. Earlier, the stadium witnessed a gamut of emotions before the commencement of the match as spectators clapped for exactly 63 seconds as a mark of respect for Hughes. vi. Both teams wore black arm bands while the Australians had Hughes' Test cap No 408 inscribed on their jerseys. vii. Warner was finally out after facing 163 balls and striking 19 boundaries. He holed out in the deep mid-wicket region where Ishant Sharma took a catch off Karn's bowling.